Our wisdom tooth removal services help patients to avoid health problems with impacted wisdom teeth. We provide the removal of third molars or “wisdom teeth” in a friendly, comfortable setting, and we’ll walk you through every step of the removal process, letting you know the options that you have for this procedure. 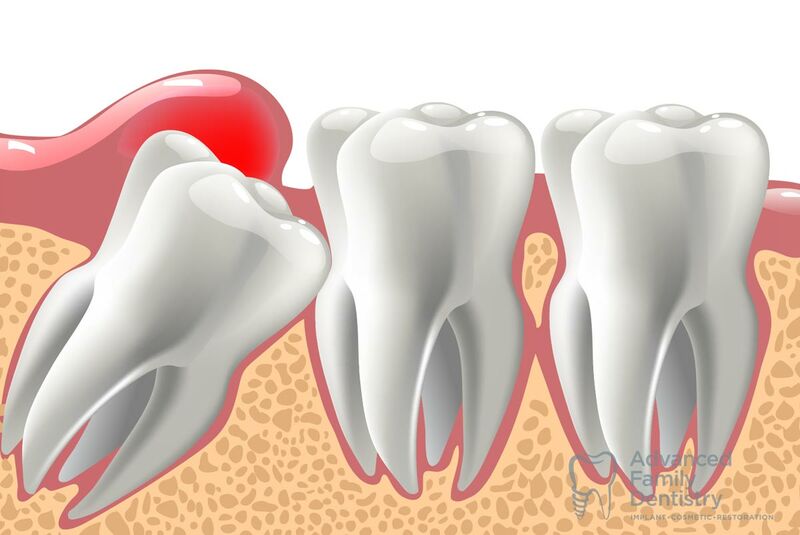 Third molars or wisdom teeth are the last teeth to develop. These teeth often come in when a person is 17-25 years old, a teenager or a young adult. So wisdom teeth are a natural part of growing up. The problem is that when there’s not room for a wisdom tooth in the mouth, impacted teeth can cause infection, damage to tooth roots, decay, periodontal disease and other types of health problems. If a wisdom tooth can’t erupt from the gumline into the mouth, your dental health can be compromised. Over time, the dental industry has become better at evaluating, treating and removing wisdom teeth along with a comprehensive look at dental and orthodontic health and what is sustainable for a patient. Now, patients have some options in how they choose to deal with wisdom tooth removal, in terms of anesthesia. Recovery doesn’t normally take very long, but on the same day, we recommend the patient having a ride home and following certain recovery home care practices to keep dry sockets or other health problems from occurring. After the surgery, the patient will often need some form of pain medication just for a day or so. It’s important that we know about all of the drugs you are taking and any known allergies in order to avoid drug interactions or allergic reactions to medications. Soft foods are advisable for a while; Dr. Sonny Kim, DMD, will explain everything to you based on your own health history and medication regimen. Don’t worry about wisdom teeth! Come in and see us and get a plan in place to deal with your emerging wisdom teeth to prevent dangerous impaction.